Hello, Josette here for Tuesdays project. I love the look of Cameos and the stamp by Sweet stamp is the perfect image for this technique. Lets Take a look and I will share the technique highlights. Full details on the technique will be showcased on my Blog later this week, so stay tuned. 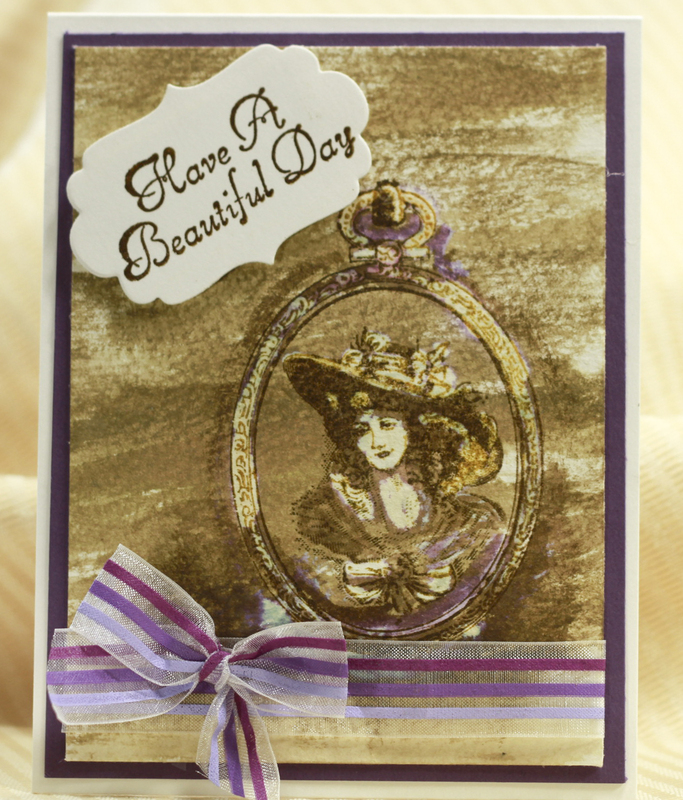 My blog is: Little Bits, stop by in a few days and I will have a photo tutorial posted. But I will share the process here. Using 140# cardstock, I brushed a mixture of Distress ink and water loosely onto the paper and dried. Then I used a dark brown Archival ink to stamp the image. After completely dry, I brushed in more of the distress ink to fill the shadows. In this photo I used Gathered Twigs as it bleaches with purple and teal tones. The next step was using a liner brush, painted household bleach onto the stamped image and let dry naturally. All that was needed was a tag and a bow. Perfect!! 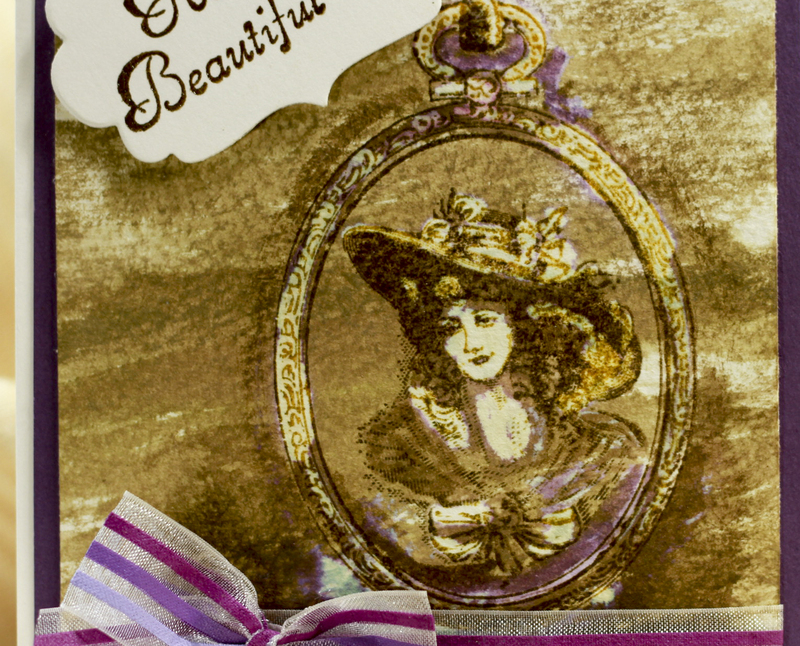 Here is the close up of the Cameo, I love the various browns with a hint of color! Thank you again for visiting, and be sure and stop by my blog for detailed information on this technique. Any news on the prize I won in your March Challenge please. I have emailed several times but have yet to receive an answer or acknowledgement. I know times are busy but I find it really sad that you put forward a challenge and then bloggers are waiting for their prizes. I do know that someone else also waited ages for their prize but have now received it, whereas I'm still waiting. This is so gorgeous. I love the technique you used, it works so well with the Cameo Lady for that vintage look.